This soup has long been a family favourite, found on that old recipe site RecipeZaar. Does anyone remember RecipeZaar? Until my Mum suggested to me to blog this recipe, we thought that website was gone and lost forever; thankful that we had printed it so many years ago and had found it again. Well, as it turns out, I learned that RecipeZaar is now Food.com and I decided to search for the recipe (for research purposes) and there it was, exactly the same one we had printed. Like many family favourites, however, we’ve tweaked the soup and adjusted it to our own tastes to make it our own. The print-out has crossed out ingredients, handwritten notes for what to use instead. For example, the original recipe was vegetarian, using tofu, but we use pork instead nowadays. Since finding our printed copy again, we’ve been enjoying this soup during the cold winter months. It’s a lovely, filling soup – sometimes more like stew – with lots of cabbage and flavour and spice from the curry powder (store-bought can be used, although I’ve also been making our own with a slightly modified version of this recipe from Pecanbread.com). Hello, hello! As we tread into the last week of the first month of 2014, I hope that you all have had a Happy New Year so far. I have been occupied with Pressgram (as you may be able to tell from my regular tweeting and retweeting – big changes coming soon!) and personal projects, one aspect of which I plan to reveal soon. I made this soup earlier this month, or during the spell just before New Year’s (it’s all a blur), from a new cookbook I got for Christmas from a friend. 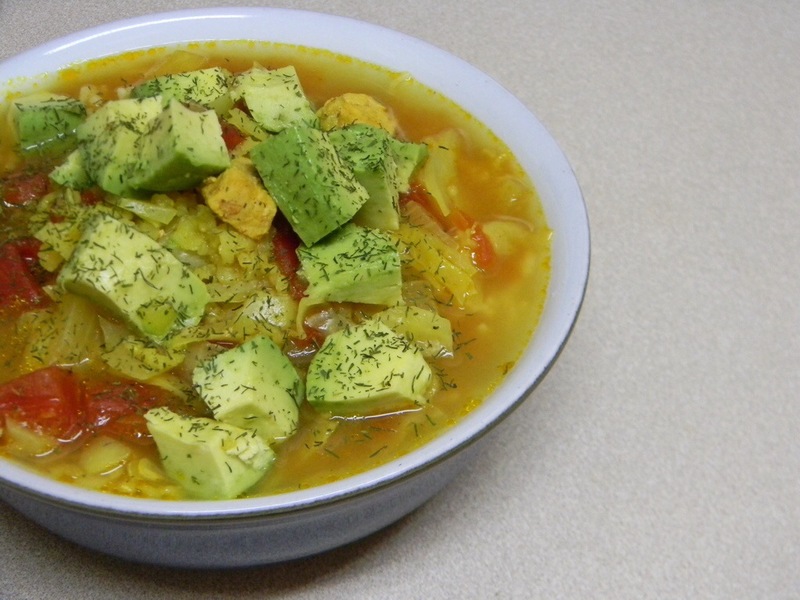 Featuring a variety of vegetable-based dishes (okay, vegetarian) from savoury to sweet, with an emphasis on cooking and some baking recipes, this soup was one of the recipes that I immediately bookmarked. 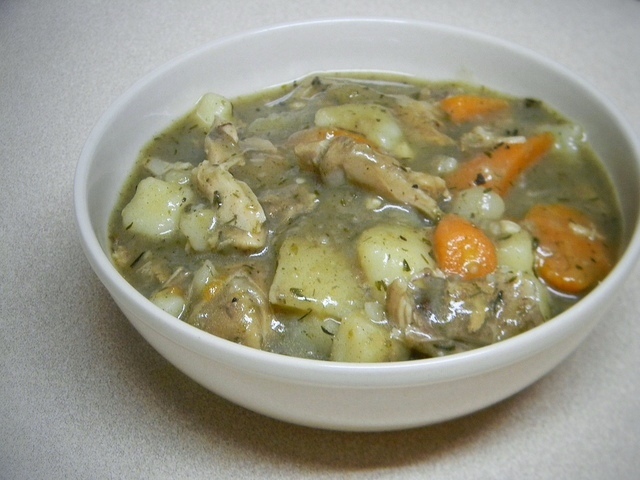 I made this chicken stew in the last week of October, two pots of it, and everyone loved it. There were no leftovers. When I made it again – repeat.